Welcome To Laurieville! 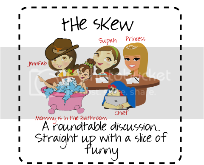 Population 1.: The Skew ~ Week 2, Participation 1. I think romance takes on a new meaning when you've been with someone for a long time. Rose ruined it for me. Real life has turned out different than Disney for me and I admit that I still struggle with my "idea" of romance vs. Real Life.